You’ll be basically doing something like the following diagrams, however, you’ll be creating independent “subdomains”. 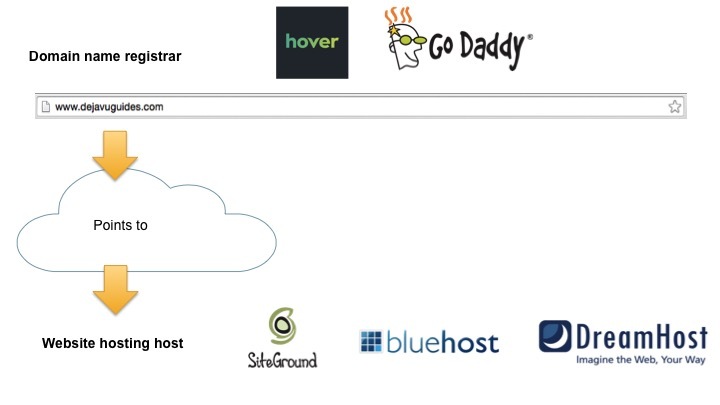 for your main website, and you have your domain name (managed by your “domain name registrar”) pointing to your own website hosting provider. Example providers include SiteGround, BlueHost, DreamHost. If you’d like to use any subdomains with HubSpot, you’ll need to point that to a HubSpot website hosting server. 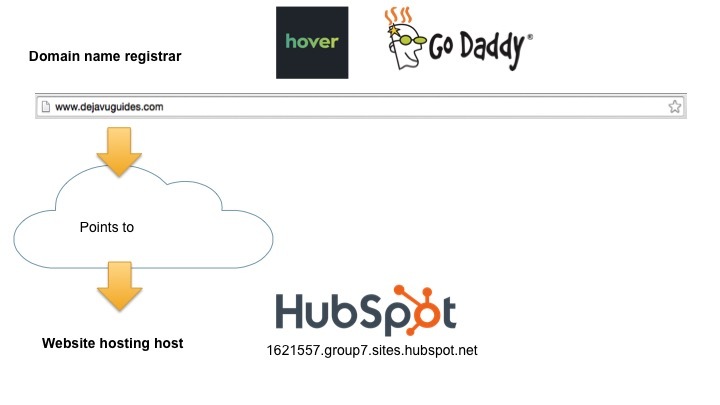 for your main website, and you have your domain name (managed by your “domain name registrar”) pointing to HubSpot’s website hosting server.